I have a little bit more progress to share on the two wips I've been working on most lately. 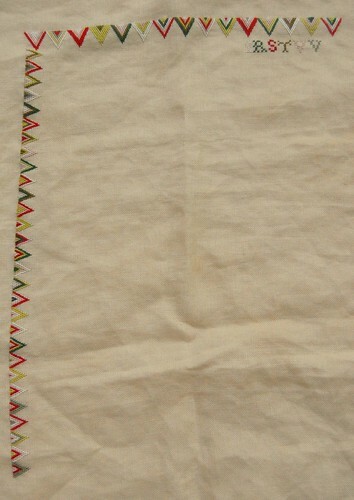 I finished all the triangles on the left side of Ruth Bacheler and started on the alphabet on top. I also got a few things in the mail - I know, I know, I've gone a little crazy lately, but I'm slowing down now. I definitely have enough to keep me busy, for a long, long time! 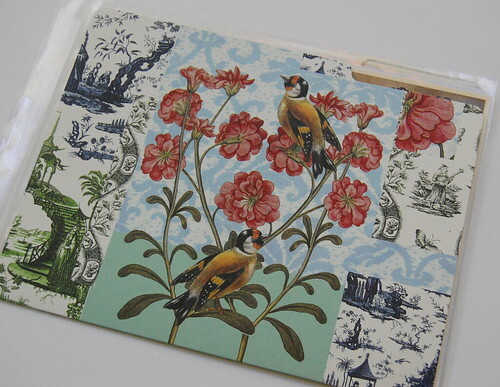 I placed an order with Kathy Barrick-Dieter through her Etsy Shop. 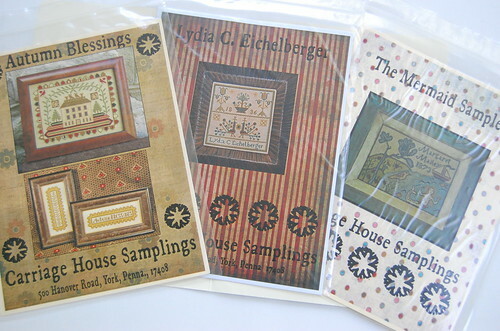 She has several out of print patterns available for sale. I couldn't resist getting a few. And now I see she's added a couple more, but I will resist!! Well, that's all for now! 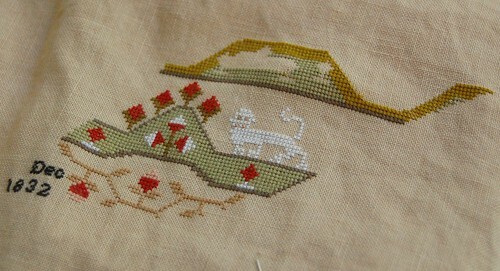 I'm going to try to get back to my stitching before it's time to make dinner again. I think I'm going to make Sausage and Potatoes today. An old Italian recipe passed down through the generations. Write later! Your WIP's are coming out great. I love the colors on both of them. I am loving your projects! And the wrinkles are no big deal! Wonderful progress on your two WIP's! They are both looking fantastic! Great new stash as well! I think you just enabled me with that stash picture. Thanks for being a bad influence. Great job on your WIP's. I love seeing the progress! Thanks for the plug on CHS patterns, I wasnt able to resist, and have 1 on order. Keep up the good work! Your Ruthie is looking awesome! Love the old CHS patterns! OK. Yesterday I called you a big enabler and now you are my enabler Queen! ;-) Lovely stash! I will check them out. Ruthie and the stocking are both looking wonderful. You're making great progress on both of your WIPS. Love the old patterns too. Don't think I've ever seen the Autumn one! Isn't stash enhancement a great thing! I admire all your stitching so much. 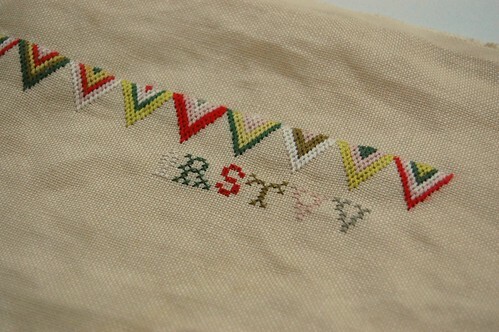 And you are such a fast stitcher...Your WIP's are looking so lovely. And your Stash looks awesome, too. Nicole, you have two great WIPs on the go. And your new CHS charts just make me drool and I feel the urge come up to let go of the computer and start stitching. The charts are now on my absolutely-buy-list. Nicole, Ruthie is looking so pretty! The colors really are gorgeous. Thank you for the link to CHS etsy! Like you, I purchased Lydia, the mermaid and I also bought Field Array. Your sausage and potato meal sounds delicious! Thanks for the heads-up on Kathy's Etsy shop!! Your Ruthie is looking wonderful. Great stash enhancement and thanks for mentioning Kathy's Etsy shop. I was able to do a bit of enhancing myself.